Trusts are an amazing way to transfer the benefits derived from a property from one entity to another. As a concept, trusts have been around since the time of the Romans. An irrevocable living trust is just one of the ways a person can manage their estate and make sure it goes to the right person. As a concept, irrevocable living trusts can be complicated to understand. It is important to understand how they work and why some people would choose it as a mode of transferring ownership of an asset or a collection of assets to someone else. Below is a short primer on irrevocable living trusts and a simple solid tip for choosing the right legal service. In a nutshell, a trust is a three-party relationship that involves the trustee or fiduciary, trustor or settlor, and the beneficiary. Each has a role to play in establishing a trust and making it work. The trustor or settlor is an individual who seeks to divest himself of his assets and transfer them to someone else for management. What makes a trust unique is that the individual or entity charged with managing the asset does so for someone else’s benefit despite holding legal title to the same. In essence, there is a separation of legal and equitable title over the asset subject of the trust. The trustee or fiduciary is the party who holds the trust. They are given legal title over the property such that they may do almost anything with it or for it. Money for example, can be invested by the fiduciary with no input or oversight from the settler. The beneficiary, otherwise known as the cestui que trust in French legal parlance, is the party holding the equitable title. They are the ones who are supposed to benefit from the fruits of the property or subject of the trust. An irrevocable living trust is essentially a trust that cannot be broken by the settlor. The settlor, in essence, surrenders his right to break, amend, or revoke the trust that they have established. The only way that it may be done is with the permission of the beneficiary. 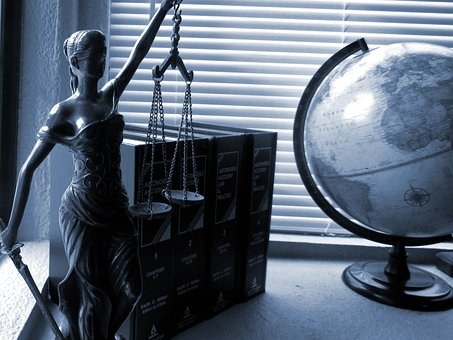 There are plenty of different law firms or practicing lawyers that will offer you their services. The incentives for them to handle an irrevocable living trust is enormous since the process can be quite expensive. The simplest rule of thumb to finding the right legal team to handle an irrevocable living trust is to find a legal team with great experience. It is one thing to learn the law in a classroom or a controlled environment like moot court. It is an entirely different matter to practice it in real life. Experience is an excellent metric to determine whether or not a legal team can deliver the service needed to handle an irrevocable living trust. Peck Ritchey, LLC for example, has a legal team that has a hundred years’ worth of combined experience between their lawyers. There are a lot of reasons why opting for an irrevocable living trust is a great idea. At the end of it all though, the main reason why most people go for it is because it helps to save the asset from taxes. The subject properties or assets of an irrevocable living trust no longer form part of the settlor’s estate. Therefore, upon the settlor’s death, the property subject of the trust is not subjected to estate tax, thus preserving the asset for the beneficiary.